Massive construction going on Chez Guidarini. The industriousness is intoxicating. Yesterday my 16-year old daughter had braces put on, and today we're getting a brand new front door. Now our daughter can hang magnets from her teeth, and our foyer no longer resembles a dungeon! If I had anything resembling technical ability I could record all the obnoxious drilling and pounding noises going on right now, as the two dudes contracted by Home Depot (receiving no $ for that plug)(unless they offer) are at this very MOMENT a mere hour or so away from finishing the installation. There's nothing like the sound of home improvement going on at someone else's home. Why, I don't know. 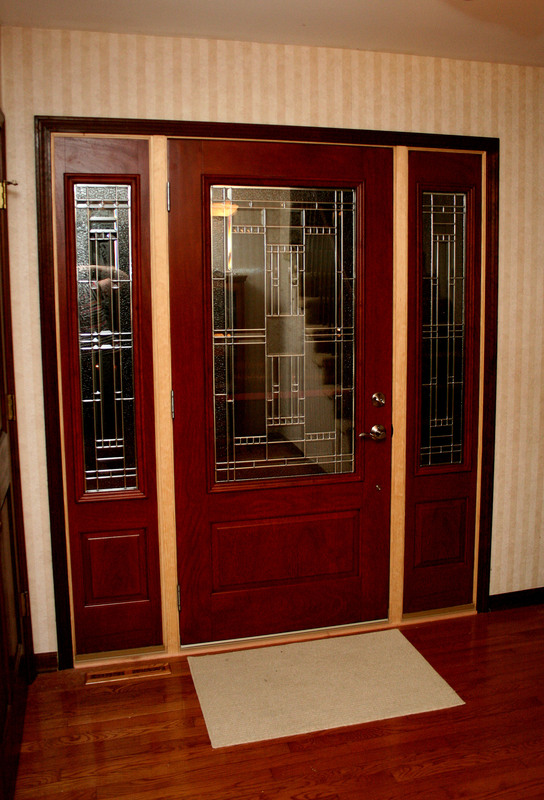 The door's a beauty, if I do say so myself. Problem is, it makes the rest of the house look trashy in comparison. So now we need new carpeting, every room should be re-painted, and this furniture simply MUST go. That's the problem with doing one nice thing in your house. Or outside your house, even. If everything else isn't brand spankin' new things look totally shabby. To be fair, our house is beginning to look kind of worn in general. The cream color on the leather sofa/love seat is wearing off, the dogs have totally trashed the living room furniture (Again, cream! Why did we buy CREAM?! ), and the paint in pretty much every room looks like we've body-slammed it wearing full body armor. And have I mentioned the totally groovy 1970s upstairs bathroom? 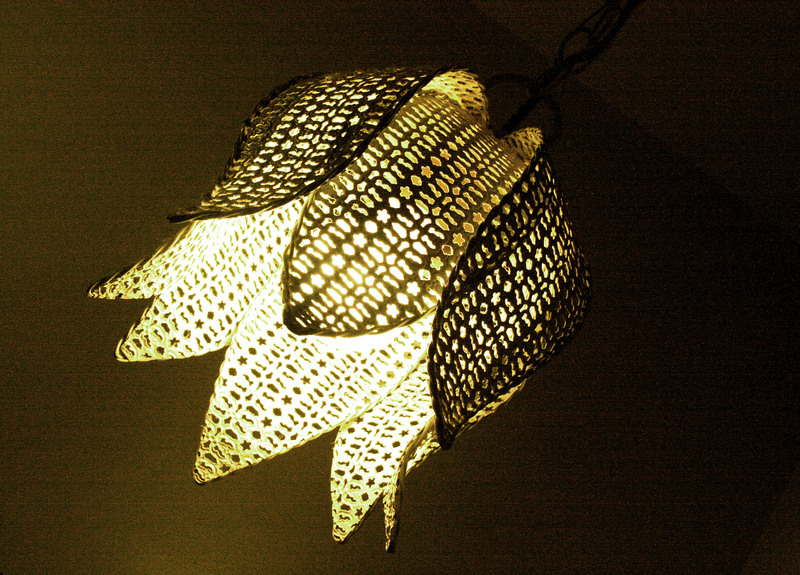 It has metal tulip swag lights so old they're trendy again. 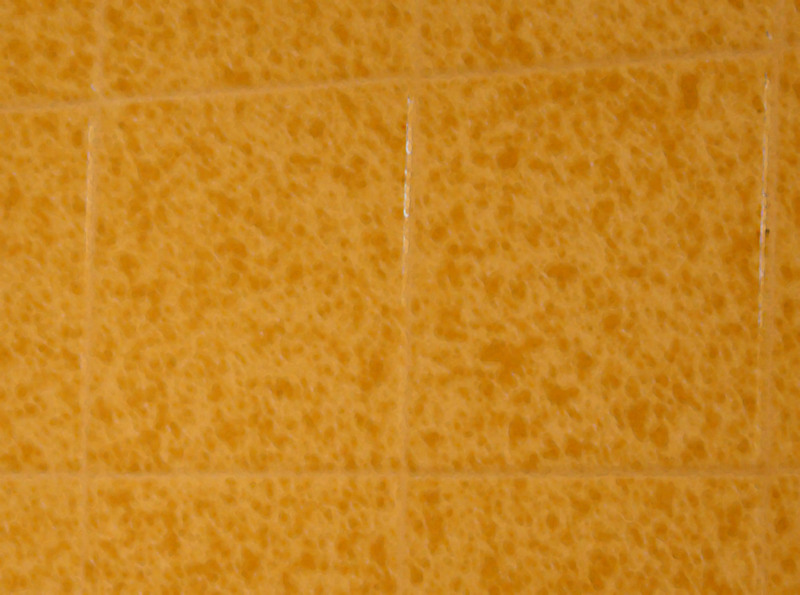 But, oh dear God, the yellow speckled tile in the bathtub area! 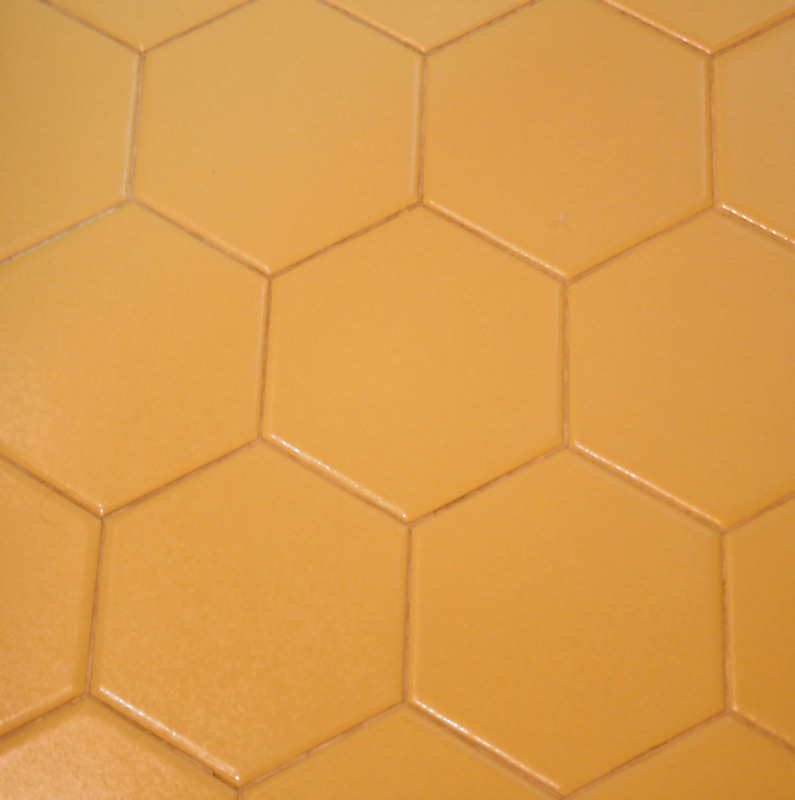 The hexagonal yellow tile on the floor! 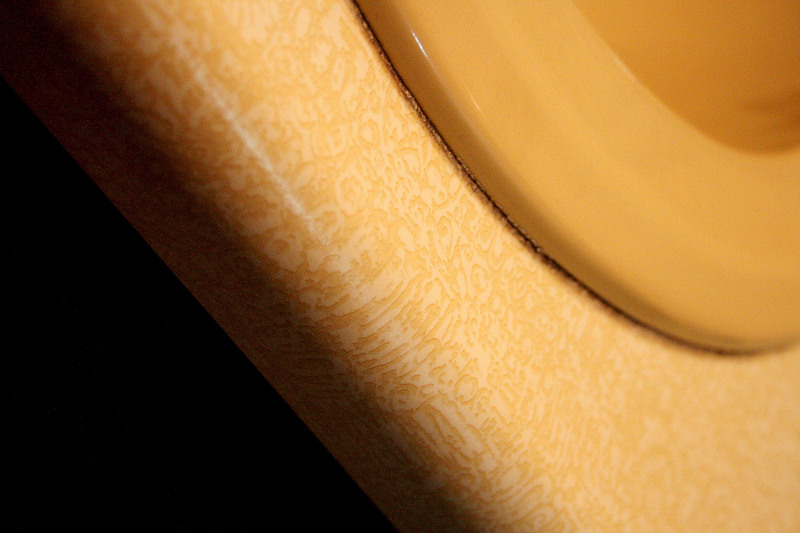 The ugly as sin dark vanity with yellow-speckled countertop and yellow sink! CENSORED. No one needs to see our toilet. Well, we do. You know what I mean. How sad is THAT? So sad we've lived here 16 years saying, "We'll (SEE: Paul) remodel the upstairs bathroom next year. Maybe in the winter, when all the outdoor work's done. Or next spring, before the grass starts growing. Or, after Y2K, because why spend time working when we'll all be dead then, right, because every computer in the world will spontaneously explode from the strain of turning to that next digit. Then our power plants will all be offline, which means my blow dryer won't work, and I will lose all will to live." I got nothin' for that second decade. What I'm hoping is by posting photos of OUR SHAME on the internet I will encourage CERTAIN PEOPLE to very believe 16 is our lucky number, and that it's high time we finally got around to that bathroom thing.